The 25-year-old Brazilian number one — who signed for Liverpool for a record 67million pounds ( 88million, 75million euros) from Italian side AS Roma this month — was too fond of biscuits and fizzy drinks and his parents preferred he stop football and return to his studies. Alisson’s path to becoming the world’s costliest goalkeeper may never have come about had his parents not been persuaded he would slim down and grow enough to succeed, his former goalkeeping coach told The Sun on Tuesday. “One day his parents came looking for me, thinking he had no future in the profession and they wanted to get him out of football,” his mentor Daniel Pavan told The Sun. “They thought he had more future in his studies and that he should leave the club. 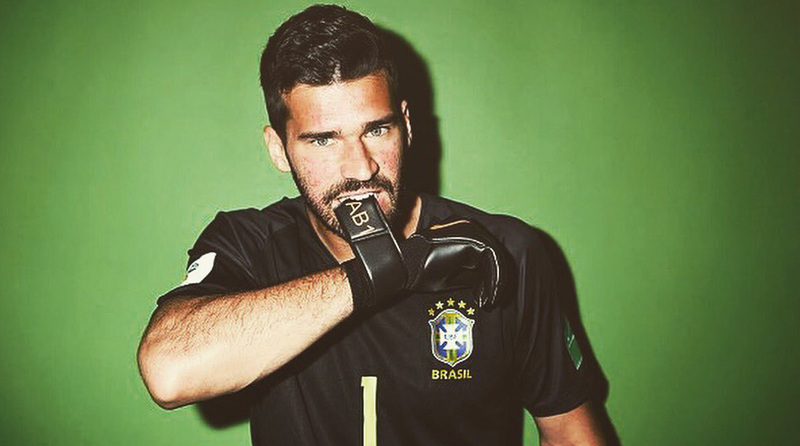 “But I managed to convince them Alisson was still going to grow to maturity for his age and would have a great future as a keeper.” Pavan said he told the parents they should not be concerned about his relatively small height at the time because he would definitely grow and become a commanding presence in the penalty area — he now stands at 6feet 4inches (1.93 metres). “When Alisson started he had a slower maturation than the other boys, this made him a shorter keeper and one with weight above the others,” said Pavan. “This made him often deprived of a position in the starting line-up and sometimes even the bench. “Genetically, he was slower than the boys of his age but with different technical gestures — we bet on his growth from the first moment. Alisson is a rarity for a footballer in that he hails from a middle class background, his mother is a real estate broker and his father was in the leather and footwear business. But he was desperate to prove himself at Brazilian club Internacional, whose youth system he joined aged 15. He went on to make over 100 appearances for them. Pavan says he is enormously proud to have seen his protege play at the World Cup finals and as a result engineer a big money move to the Premier League. He remained in touch with Alisson even after he joined Roma in 2016 for just 7.5million euros, a fraction of the price he cost Liverpool two years later. “Of the 13 years that he was at Internacional, eight were spent working with me,” said Pavan.